This past February saw the beginning of routine weekly care for the animals of Santa Catarina. Santa Catarina is a poor village with approximately 7,000 people. The residents are primarily impoverished indigenous Mayans. The village is situated along the northeastern shore of Lake Atitlan and a few miles from Ayuda’s headquarters in Panajachel. There are many sick, hungry, and unsterilized street animals in Santa Catarina. For the past 8 weeks, the old pickup truck and faces of Ayuda volunteers have become routine fixtures in the Santa Catarina center of town. Once each week on the same day and time, homeless and family owned dogs and cats receive treatments, and many are transported to Dr. Miguel in Panajachel where they are spay/neutered. 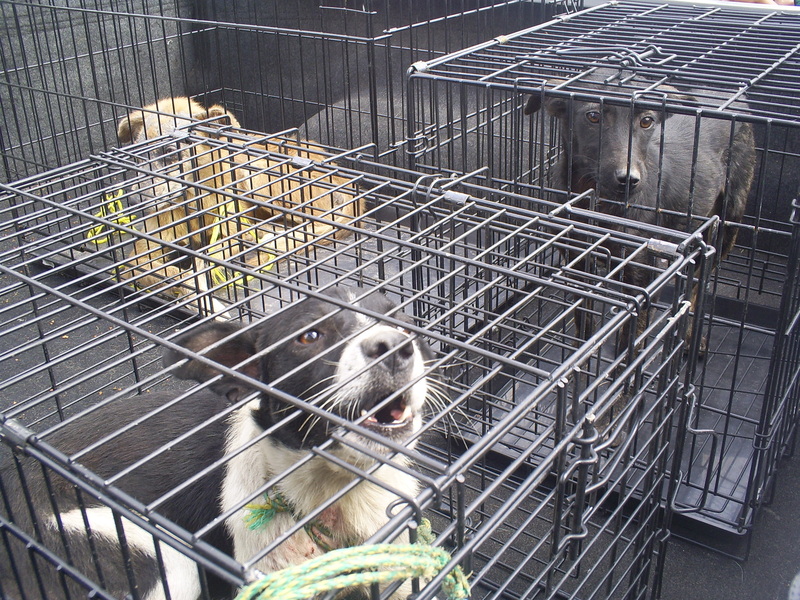 The newly sterilized animals are then brought back to their home village a day or 2 later, depending on their state of recovery. This project has been met with increasing success. Local merchants have been very supportive and are helping to get the word out into the neighborhoods. The village’s health department provides and administers Ayuda’s rabies vaccines, as well as properly stores Ayuda’s supply of vaccines for parvo and distemper. Treatments for mange and parasites are given in the village square. Children help to identify which animals are homeless, as well as point out the homes of free-roamers. One store owner (Javier) has not only set up his home as an Ayuda feeding station, but he also shows up with at least 2 or more street dogs each week for spay/neuter. Teachers in the village’s school have been provided with special coaching and WSPA training materials for teaching humane education. And the local mayor’s office has stepped up in their support for the Ayuda project through increased advertising, as well as discussions about better ways to keep the street dogs out of harms way. We take great pride in announcing the success of this new project as it continues to gain momentum and community support. Funding for this project is made possible through the Brigitte Bardot Foundation, and people like you, who help Ayuda give care to helpless animals.